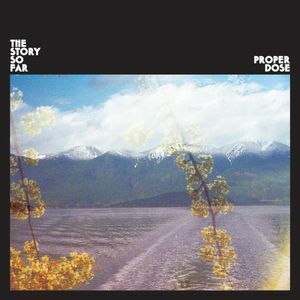 It's been a while, but Proper Dose has inspired me to write another album review. I love this CD. It’s almost everything I could have wanted out of The Story So Far. I love everything about it. The production, the mixing, the tone on his voice, his angsty stoner lyrics, the guitar riffs, the drum fills, the sick bass lines. I relate to so many things on this CD, and I know that lots of people out there will too. The CD doesn’t do anything particularly innovative or novel. It’s a pretty boiler plate pop punk/ emo CD. It’s got interesting guitar riffs and fills. They do this cool thing where they will even shift the guitar line from chorus to chorus to keep it interesting. But its more like it’s a great distillation of pop punk with an emo influence. Petulant, sad, confident, resigned, defiant and still hopeful. Everything just fits so well together. The instruments don’t ever stand out a ton, but they are all so talented when focused in on. The drum fills, the guitar lines and licks, the bass lines. It’s the beauty of simplicity. Proper Dose: the guitar tone transition on the chorus is so good. “barely focused anymore” is so relatable. The drums during the second verse does this cool back and forth thing that I really like. How the drums match up hitting with “going through the motions”. Keep This Up: the way he sings “I haven’t talked to my brother in over a year, I hope that hes still proud”. The guitar “solo”/bridge is so quick and fun. “My pessimistic views, stem from all the drugs I use” is so catchy and relatable as well. Parker can really sing too. “nodding off now!” at the end of the song is a tough note to hit. Out of It: the backing vocal in Out of It is so good. Its kinda tinny, but it makes it really easy to sing along to. “and leave me alone!” is sung so well, man can he sing. “My appropriate opiate, has me out of it, out of it” is so catchy, I’m surprised no one thought of it before. 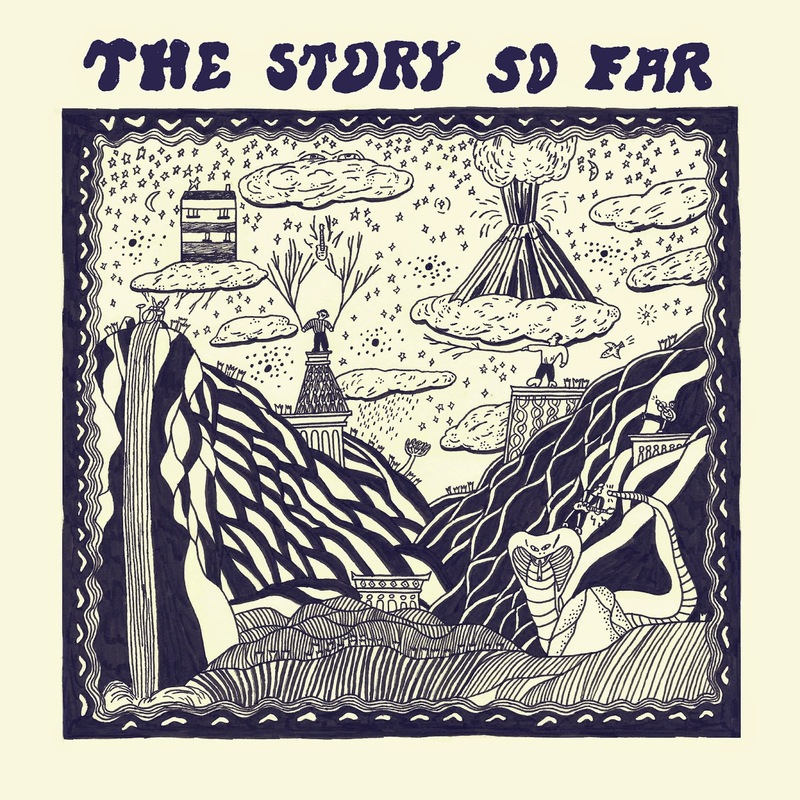 Take Me as You Please: a little change of pace, but still so TSSF. Love the down tempo. Parker’s voice is so unique and strong. Its impossible to try and sound like him. Some of the lyrics are kinda cheesy (don’t turn on the light, youll burn out the bulb, then ill have to buy another), but its all a metaphor for his relationship with this person. Its his simplicity in lyrics but also with deeper, unspoken meaning that makes him so good. Let It Go: Another down tempo song, but still upbeat with the whole band in it. I love this song cause I’m not even sure what it’s about. I love that he writes songs that have so much emotion, but he doesn’t come out and say exactly what he’s feeling. He’s so good at painting the emotional picture of how he feels. Upside Down: Another song about life on the road. I’m not in a band, but the song is more than just being in a band on the road. It’s about having to do something that you are burned out on. He loved it at first but now is even worth it? When I Fall: Maybe one of my favorite pop punk songs since “Serpents” from Neck Deep’s “Life’s Not Out to Get You” or “Eastbound and Down” from WSTR’s “Red, Green or In Between”. The whole song is just so upbeat and good. The chorus just makes me want to sing along. The way drums pick up at 1:00 in the second verse, combining with the guitars is so good. Then the second chorus, they switch up the drums, and its perfect. Then the really short guitar solo is really fun, because they don’t do many of them. It’s simple, but it doesn’t need to be anything crazy. Then the way they end it with the outro and the fading “hold me down, help me drown” vocals. I’m such a sucker, and I love it. Mimi said “it makes me feel younger again” and I can’t help but agree. Need to Know: also an amazing song just from the jump. Love the idea of putting the acoustic guitar strums in the chorus. The drums drive this song so well. Love the choppy guitar lines too, and then the break into the open strums in the chorus. Really makes the song feel like it goes fast and then open up and relaxes. Then the outro part where it breaks down and just does the easy outro of “save my soul”. Line: I’m a sucker for call backs, so the call back to the line “I feel your hand inside of mine, no I don’t never mind” is something I’m into. And then just the subtle add of “Oooo” at the end. I also like the different drums they used on this song. Growing On You: the essential slow song of the CD. Probably my least favorite, but its still good. Parker actually tries to sing “nice” here too. I think it’s going to be one of those songs that grows on me (lol). I think it also perfectly sets up the last song to really go out on a high note. Light Year: great ending song. Goes out on a song that makes you want to restart the CD. “how did I get here? It feels like a light year” is a standout line to me. I feel that in my soul, mostly about my life. The first few notes he sings are pitch perfect too. The guitars are so good on this song, their tone is perfect to match the tone of the song. “Stepping outside now, leave it behind now, come down, let it all out” is so good. Love the line “I should have no fear, yet my hands are slick” is a perfect embodiment of him shaping the mood by not talking about stuff directly. Huge sucker for guitar arpeggios and they do it so well here. And then they just let it fade out. You end up feeling like he let it all out. As a huge CYB, SS, TIAH and Sempiternal fan, I wasn't excited going into this album. But I don't know, something really caught me about this album. There is a lot of emotion that went into it. There are still heavy guitar tones in there, they are just spaced out by more mid paced, slower intricate guitar. Oli still screams a little, yells a good deal, but he does mostly sing. It's certainly different. I didn't really even think I'd like it, but I don't know, something really clicked with me. I keep thinking back to how Oli says that "screaming couldn't capture what emotions he was trying to convey" and I keep thinking that is more true with every listen. When he does scream a bit, it makes it so much more impactful. It's worth noting that every song is around the 3:30-4 minute mark. On Suicide Season, the songs were all longer. I kinda think the longer songs allowed for more complex songs and structures, but each second of this album feels like it has more going on. Each second is more thought over, and honed, and perfected. I wouldn't even say I loved any song on first listen either. But they grew on me. I started realizing how much I was singing Throne to myself, or the stupid catchy "true friends stab you in the front". Suicide Season and There is a Hell will always hold a special place in my heart. They are phenomenal albums that radically altered the metalcore scene. But now that BMTH is done with that genre, we just have to look to other, younger bands to do so. People grow up, people mature, they mellow out. The party-ers of "Diamonds are Forever" are gone, as they should be. You can't stay young forever. I think SS came out of a youthful energy that they just don't have anymore. That makes me sad, but letting yourself wallow in the past diminishes the present. I just tell myself to more forward as well. The boys have done it again. Top notch. "Following up on the proto-Nietzschian approach first propagated in Hold My Liquor, Nobody finds Keef building on the feelings of emptiness and materialism. The auto-tuned vocals remove the sense of emotion from Keef’s singing, while at the same time adding a layer of vulnerability that speaks to the nihilistic undercurrent that informs Keef’s lyrics. West’s auto-tuned backing vocals only serve to embellish this paradoxical dichotomy, at once glorifying the accumulation of wealth, while at the same time bemoaning a lack of moral direction. Nobody represents Keef in an existential crisis, torn between two worlds. From a post-modernist perspective, Keefs lyrics and singing exemplify a young man stripped of his values, a de-structured world without meaning and guidance. Nobody understands keef, just as nobody knew the real him in Hold my Liquor. Keef is at once emotionally defenseless, compensating with visceral, tangible shows of force. Covered in a facade of brutality, Nobody really represents a stripped down version of keef, a hollow core masked only by a thin, malleable shell. Nobody isn’t a song, that’s why people are confused; it’s simply an extremely pleasurable audio experience, vibrating at the same frequency of peace & happiness while juxtaposing the ideas of loneliness & depression, ‘nobody’. This is a trashy music blog. I'll post what I want. I'm making no promises for any entertainment.